Aron Cline specializes in the acquisition and disposition of retail investments including Net Leased investments, neighborhood, community, power, and strip centers. Aron utilizes an exclusive listing marketing approach centered on generating the utmost exposure within local and national market to create competition amongst buyers. 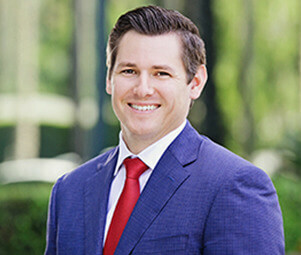 Aron has established himself as a premier broker in the single-tenant net-leased industry and has seen rapid upward movement within Matthews Retail Advisors resulting from his comprehensive knowledge of the industry, unique aptitude for negotiation, and repeatedly proven ability to execute and deliver for clients. • 2014, 2015, 2016 Largest Transaction, Matthews Retail Group, Inc.
• 2014, 2015, 2016, 2017 Chairman’s Club Award, Matthews Retail Group, Inc.
• 2014 Promoted to Associate Vice President, Matthews Retail Group, Inc. Prior to his current role as Vice President and Senior Director of Single-Tenant Net-Leased business for Matthews Retail Advisors, Aron managed transactions and forged ties with some of the nation’s largest institutions, developers, syndicators, pension fund managers, high net worth private clients, lenders, and Private Equity Companies. During tenures at Colliers International and Marcus & Millichap he emerged as a top-producer and one of the hardest working agents within each of the firms.